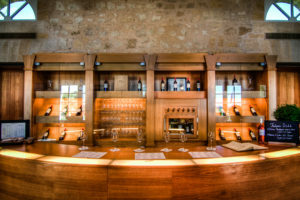 Here are a few helpful tips while visiting wineries or wine tasting rooms…Cheers! • Do not wear perfume or cologne. You don’t want to be “that” person who confuses the smell of others with scents interfering with the wines. • Some visitors are new to wines, so if you have tasted a wine you do not like, keep it quiet and move to the next. • Don’t be a wine snob … there’s always someone who knows more and there’s no one who knows everything — even if we think we do. We are constantly learning something new from each other. • Your host/hostess is there to answer questions and talk about their wines. Be kind and courteous. • Don’t pretend you are in the industry, unless you are. It never works out. It is also insulting to those who actually are. Besides, they’re very smart with their questions to weed it out if credentials cannot be produced. • Eat before you go. We all know that a server, no matter the state, cannot serve one who has overindulged. Many places offer small crackers, pretzels or maybe small bites of cheese. These are meant as a palate cleanser, or a wine pairing and not as a meal. • Sipping and spitting are part of the experience, no need to feel as if you need to drink each pour. Not liking every wine is natural, so don’t feel guilty about dumping the wine. Like the wine? The best compliment is to buy a bottle or two! • It is acceptable to buy one tasting and share the glass. The wines are presented in a particular order for tasting. If you are unable to choose your own flight, then just cover your glass with your fingers to signal “pass” instead of saying aloud “no.” If you try it and don’t like it, remember someone else might. • Do not attempt to pour your own glass. • Do not pick the grapes. If you are able to go on a tour of the vineyard, please leave the grapes alone. The grapes are for pictures only. Imagine if everyone who walked through took a few to taste; there wouldn’t be much left to make wine. • Last call for alcohol. If you walk in within 10-15 minutes of closing, don’t expect a full tasting menu to be served. And don’t ask for the most expensive bottle to be poured. Wineries are dictated by their permits for hours of operations much like liquor stores, so closing means closing. • Under-aged visitors are not encouraged and some do not allow them, so check the website or make a phone call beforehand. If they are allowed, by law, most states require that they are at your side at all times. It is courteous to remember that most people visiting are on a vacation or weekend getaway and are escaping for adult time. • Should you tip? Tipping is not required, but much appreciated if your host/hostess did an excellent job and went above and beyond.